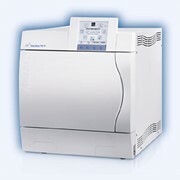 This Autoclave is designed for practices that require a quick Autoclave cycle. 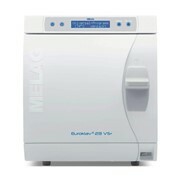 The total time including drying for sterilizing 5kg of wrapped instruments is approximately 25 minutes.The Vacuclave Premium can be purchased as a stand alone unit or with tap water connection supplied with a Meladem 40 (plumbing will be required). 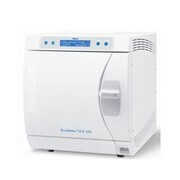 The premium class works with a fractionated pre-vacuum and satisfies the requirements to "Class B" autoclaves of the European standard EN 13060. 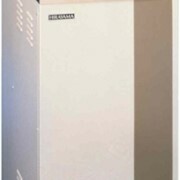 The deep vacuum is created by a very high performance electrical vacuum pump. 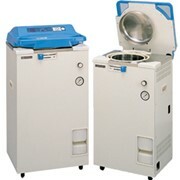 The deep post-vacuum ensures optimal drying of wrapped materials and large quantities of wrapped textiles and porous goods aswell. 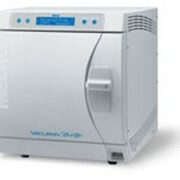 The required documentation of the sterilisation cycles carried out over the built in network interface. The data can be stored directly in the practice network. 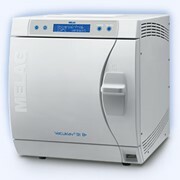 It is also possible to save the data via MELAflash CF card reader.